Beautiful lips are an essential part of your facial beauty. It gives you a sensuous look. No matter how good your lipsticks are the real beauty always comes naturally. Therefore it is very important that you take care of your lips in order to make it look more beautiful. If you are looking for soft, smooth and pink lips then here I will try to give you some tips. It will help you to keep your lips soft and smooth and appear more luscious in a natural way. This steps would also help you to prevent cracking and chapping of lips. All the steps below are easy to follow but should be done on regular basis to see positive results. Dry chapped lips, are the result of lack of moisture in the skin. To avoid this apply moisturizing lotion on your lips daily. Do not lick your lips repeatedly. Unlike other body parts apply sunscreen on your lips when you go out in sun. Whenever you apply any lipstick on your lips use lip balm before of it. Always use good quality lipstick on your lips. Lip gloss is also good for your lips beauty because it not only moisturizes your lips but also give them gamy look. If your lip color is blackish and you want them to look smooth and pink apply beet root or rose petals juice before going to bed. You can also apply butter or ghee several times a day on clean lips to get pink lips. Remove your lipstick before going to bed. To give a perfect shape to your lips you can apply lip pencil that has soft, pointed top. You can start drawing down to the corners by starting at the V in your upper lip. Then, starting at the middle of the bottom lip draw a line to the corners. To help lipstick stay on longer, use your pencil to cover the lips entirely. After a proper outlining you can apply lipstick on your lips. Whenever you outline your lips with lip pencil make sure that lipstick colors and lip pencil should be in close contact with your lips. If you apply lip liner it should not be visible. Lip liners are only meant to keep lip stick in its place. 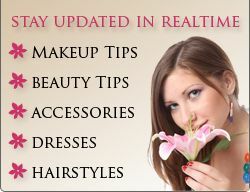 When you apply any lipstick choose it according to your clothing style and skin color. 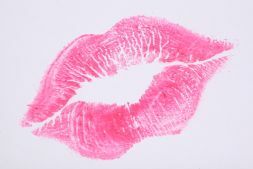 If you follow these simple steps you can have more glamorous lips which can easily attract others. Lips are the most sensitive part of our body and therefore require more care. Eating green vegetables and fruits in your daily diet can also prove to be beneficial for beautiful lips.